When it comes to household expenses, food almost tops the list. This is true of most American households, which makes it one of the best places to start cutting back to save money. But how is it possible to do that with the ever creeping price of food? Oh, it can be done! Sometimes, we just have to be a bit creative, but cutting the food budget is definitely something that can happen. One of the best ways to cut the food budget is to help out on a farm. Hard labor, you say? Why yes! There are so many more small, local farms making themselves known in this day and age than we have previously seen. This is both a wonderful thing and a very difficult thing for the farmer’s that run the farms. This is because running a farm is a LOT of hard work and extremely time consuming. Not only that, but the monetary reward is slim to none. Farmer’s enter this line of work because they love it. And farming makes them feel like they are contributing to our overall health and the community as a whole. Which they certainly are, and we should all be very grateful for them and every wonderful thing they produce. However, due to the fact that there just aren’t enough hours in the day and the monetary reward is so little, they are always looking for volunteers to help out. Here is where you come in! When you volunteer at a farm, most of the time they will give you food stuffs that they produce as your compensation for helping. So you give a little bit of your time, and physical labor, and you get food as a reward. This type of relationship is very beneficial to both parties and it helps cut your food budget down. Plus, the food you are getting in return is the freshest and probably the healthiest you are going to get. So this is a win-win! Another one of our favorite tricks for getting the best food for the best price is negotiation. Now, I know this is less common in the US, but it does actually occur. 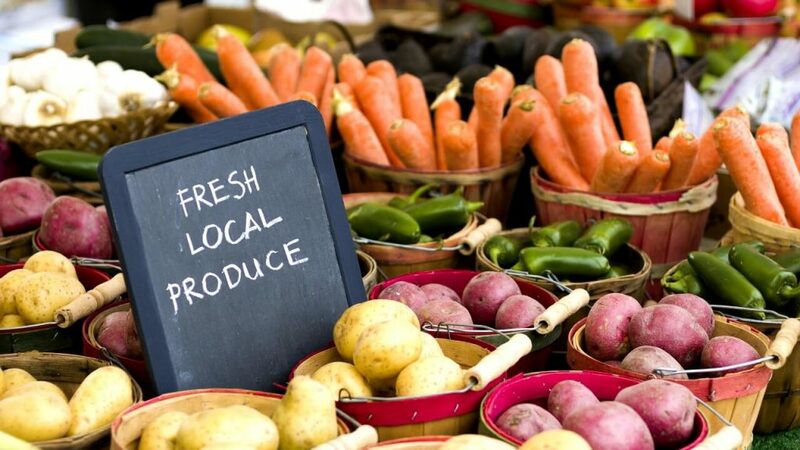 The most beneficial way that we have found to do this is to go to one of the smaller farmer’s markets right before they shut down for the day. We usually hit them up about 30 minutes before they close. The first step is to take a “walk through” of every farmer and all of the items left. Then we have a quick meeting to discuss what we want and start the process of going back to those designated stands and negotiate. The majority of the time we can get the food for anywhere from 50% – 75% off of the normal asking price. This is a giant price break! The markets that we have found to work best for this are those that are only open once a week. This is because the farmer’s are wanting to offload their products so that they don’t have to bring them back to the farm with them. They would rather sell them for something as opposed to nothing and watch the food go bad. We don’t do this all of the time, but the times we do engage in this practice are usually in the middle of a heavy growing season. Ultimately, we are helping the local farmer’s by offloading the produce they couldn’t sell and they are helping us by giving us produce at a greatly reduced cost. Most of the time this produce isn’t bad, it just isn’t as pretty looking as the other items they brought to market. But we are perfectly fine with this, as the food will look beautiful once we are done with it. And it will taste even more amazing knowing that we got delicious, nutritionally dense food for a fraction of the normal price. Overall, the key is to think outside of the box when it comes to the grocery budget. Where can you cut and what are some creative ways to do it? Once those key factors have been identified, then it’s time to implement them and see just how much you can save. I love the farmer’s market trick! I used to volunteer at a farmer’s market and they would donate their un-sold product to the local food bank. I like the option of letting people buy at the end of the day at a discount as well. We haven’t been to a farmer’s market in forever, but they’re opening up again now that the weather is cooling down. Will have to try out the last-half-hour trick, and see if we can score some discounted produce. We just picked about 20-30lbs of pears from my brothers pear trees. They can never eat them all so we picked a bunch and will turn it into pear puree for the kids and in smoothies. There’s a whole thing called ‘urban fruit harvesting’ where people go around and pick fresh fruit from neighborhood fruit trees that would normally go unpicked. Many times they donate half to the local food shelter or mission. I have not heard of this before, Owen, but this is fantastic! Are there meetup’s for “urban fruit harvesting?” If so, we would really be interested in this concept!